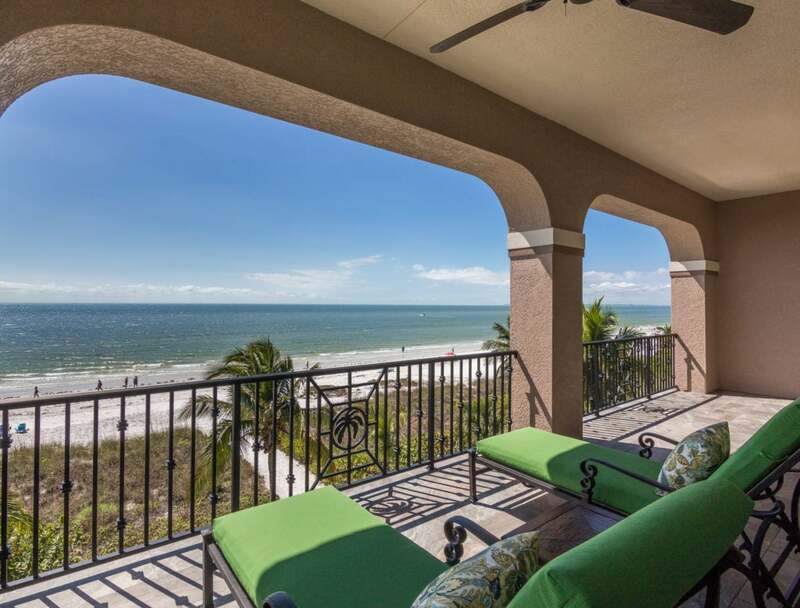 Southern serenity meets beach luxury at La Casa Bonita South on Fort Myers Beach! Live the “lifestyle of the rich and famous!” Open the front door to this convenient ground-level entry and gaze up in amazement at the grand staircase to two more floors, or grab the elevator to move your food and luggage. 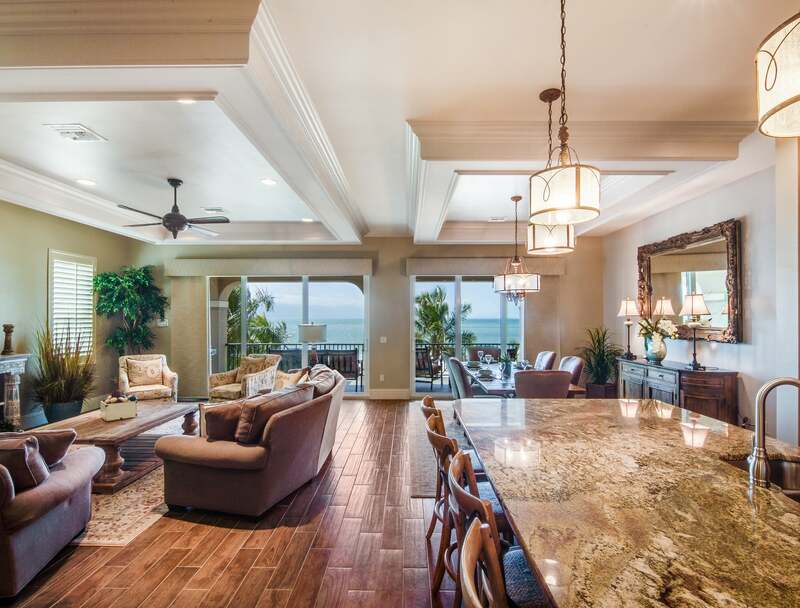 The fabulous great room with lofty tray ceilings, well-equipped kitchen and wall-to-wall views of the Gulf gives you plenty of space to relax or prepare a meal. The gas grill is conveniently located on the large deck just outside the sliding glass doors. Also on this floor is a Queen bedroom with ensuite bath, twin bedroom, Guest Bath and Laundry Room. Upstairs are 2 Queen Bedrooms with ensuite baths and the King Master Suite which everyone will want to stay in. The huge bathroom with jetted tub, walk-in closet, lounge area and private balcony is truly worthy of the most discriminating traveler. 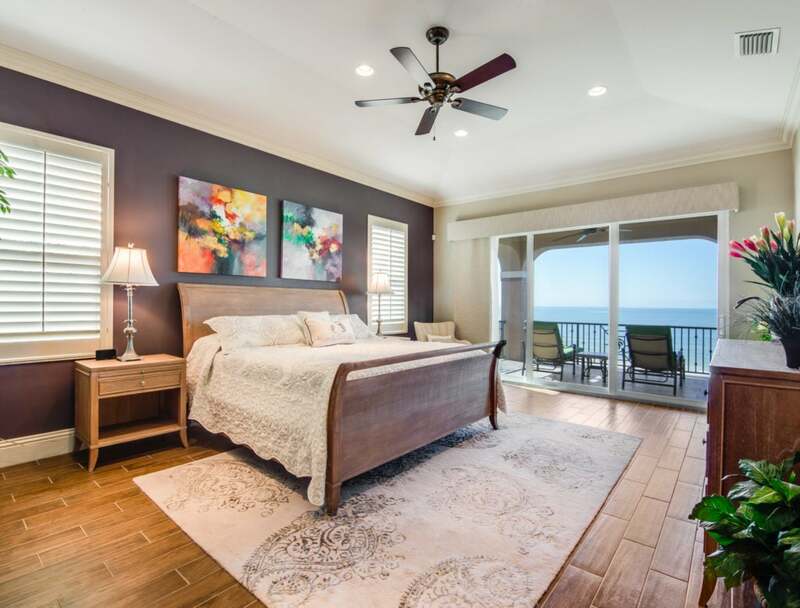 Relax in your own private pool and spa, watch the sun set on the Gulf, walk the 7 miles of white sand, or just lounge and read a book. You can also check out our sister home La Casa Bonita North ~ just as luxurious! Both homes are pet friendly! You and your pet will make new friends quickly visiting the area’s nearby dog parks. A wide range of activities awaits you. Paddle through the beautiful mangroves: rent or launch your own kayak and enjoy the natural, serene environment Southwest Florida offers. Area cruises also are a perfect addition to your vacation! You can pop over to Junkanoos for lunch or cocktails or Fresh Catch Bistro for a fabulous seafood dinner. Beach Chairs and towelsLa Casa Bonita South is located beachfront on Estero Blvd., just south of Fresh Catch Bistro. Contact us to learn more about La Casa Bonita South. Check out all our available homes — a perfect escape anytime with family and friends.